Anyone who has followed me for a while will know I like to shop - a lot! But I also love a bargain, which always makes me feel less guilty about my shopping habit. I am a massive fan of buying vintage and second hand clothes whenever I can. Not only is it a great way to save money but it is also better for the environment and if you are buying from a charity shop - it is a great way to donate money to worthy causes. When ScottishPower got in touch and asked me to share my tips on charity shop shopping I jumped at the chance. Shopping in charity shops is one of my favourite ways to score a bargain. ScottishPower has an ongoing partnership with Cancer Research UK and this year marks £15million donated to the charity by the energy supplier. They've just renewed their contract with Cancer Research UK for a further three years and pledge to help beat cancer sooner. How amazing is that! We are always told that charity shops in the most affluent areas have the best things - but that isn't always the case. Always be sure to check out a wide variety of shops in different areas if you can. Given time you will find which shops are suited to your style and budget. Good charity shops will have their clothes split into sections just like high street stores - take the time to look through the rails and grab anything that catches your eye before someone else - it is going to be the only one there! I always have a wee look in the Men's section too as sometimes pieces there can work for anyone and sometimes other shoppers can put things back in the wrong place. The men's section is the best place to find vintage sportswear, knits and tees. This is essential for both second hand and vintage pieces. Something may look like a bargain - but not if you are going to have spend more money repairing it after leaving the store. First things first always check the labels for cleaning instructions. Some items, especially vintage or more expensive pieces might be dry clean only. Are you happy to pay upwards of £15 each time you need to wash the item - if not - leave it behind. Check all buttons are attached and all zips work on items. Check for any staining. On tops check around the arm pits for any staining. If these haven't come out in the wash then they aren't coming out. Also check for any small holes. Especially with older or vintage pieces. Sizes have changed quite a lot over the years so don't always go with what the label says. It is also a good idea to remember that things look completely different on than they do on hangers - so it is worth your while to try stuff on - even things you aren't sure off. This is your opportunity to step outside of your comfort zone and try something new for a bargain price. Yes I know this sounds strange - but winter clothes don't sell as well in summer so you are bound to find them greatly reduced and the same for summer clothes in winter. I collect vintage sequins and I always score my best bargains in the summer time as most people wear them during the festive period. Just don't forget you bought them when their season comes around. Charity shops receive donations daily so they are constantly updating their stock. It is a good idea to pop in as often as you can to check out their new arrivals. Talk to the staff about the type of items you are looking for and if you are lucky they might know of something in the store room waiting to go onto the floor that you would love. If you are really, really lucky then they might even keep a few items by for your next visit for you to see first before they go onto the shop floor. Tell everyone where you got your amazing clothes! Make sure you share your amazing shopping experience with everyone you know and encourage them to visit your favourite charity shops. Charity shops are full of household items, fashion accessories, books, DVDs, toys and many other items. My last charity donation consisted of over 20 bags of clothes and accessories and the charity managed to raise over £500 from the sale of the items. As you can imagine I felt amazing knowing I had raised so much money for an amazing charity from just donating items I didn't wear anymore. Charity shops are crying out for donations so it is worthwhile having a clear out every once in a while and donating. The golden rule for donations - ask yourself if you would be happy paying money for the item you are donating? Do not donate anything that you wouldn't. It is always good to encourage other people to donate to charity shops too! I often send an email round my work colleagues and ask them to bring any donations to me and I arrange a pick of everyone's donations together. If you are a UK taxpayer ask to fill in a Gift Aid form when donating your items and the store can then claim 25% tax from the Government at no extra cost. You will also receive a letter from the charity letting you know how much money they raised from the sale of your items. 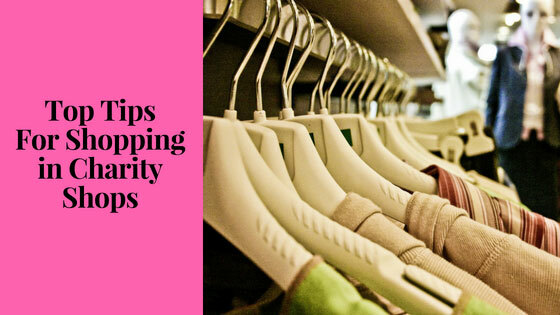 I really hope these tips will encourage you to pop into your local charity shop and have a look around and hopefully pick up a bargain or two. Please let me know if you pick up anything fabulous! 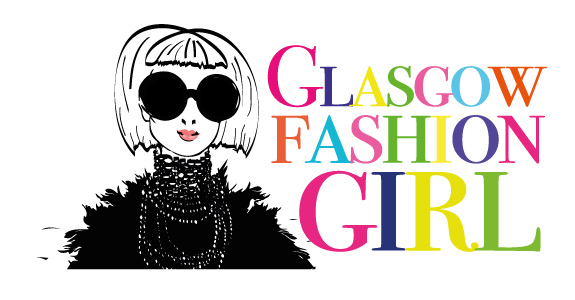 If you’ve really got a passion for fashion, you could put your skills to use as a volunteer at a charity shop, helping to dress their windows, supporting on social media or taking on responsibility for the stock and display of a particular category, such as accessories. Cancer Research UK has a dozen shops across Glasgow so wherever you live in the city you’re never far from a bargain. You can find your local Cancer Research UK shop here.